We recently visited with Carrie Nelson of Miss Rosie’s fame and asked her about her inspiration behind her Little Bites patterns. I love candy and Moda Candy is the best. Inspiration? As always, there are two things that inspire me for the patterns. The first is what I still call the “puzzle” part of it all. It’s the geek-thing, the quilt-wonk part of my brain that wants to see what I can make from the “parts” I’m given. 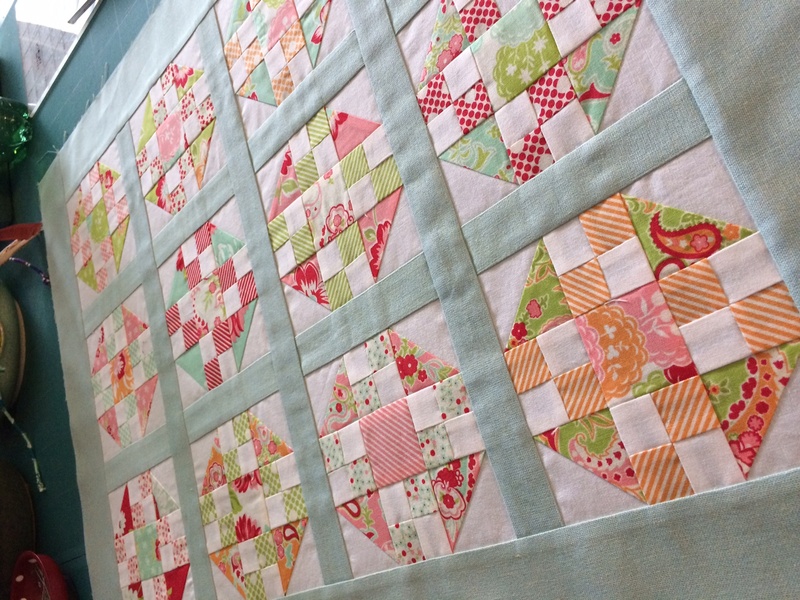 There are only so many ways that you can cut a 2 1/2″ square. I think it’s also the original “make it do” mentality of quilters from centuries ago – this is all I’ve got and I want to make something pretty with it. That’s also why I also set the completely arbitrary limit of only two mini charm packs per Little Bite quilt. I can add background, sashing, border fabric, etc., but that’s it. The second inspiration is the fabric – of course. So often I have a base block and then the colors and prints in a particular collection will give me an idea for a variation that I hadn’t thought of until that fabric. Playing with the mini charm packs is just that – its a chance to play with something new, different and perhaps even outside my comfort zone. There are eight new Little Bites patterns coming for Market. As with the first eight patterns, each new title will have at least two different projects. Some have three . And each title is a synonym for a “little bite” or “bit” – Slice, Scintilla, Titch, Ort, Whit, Grain, Sample, and one other that I can’t think of right now. 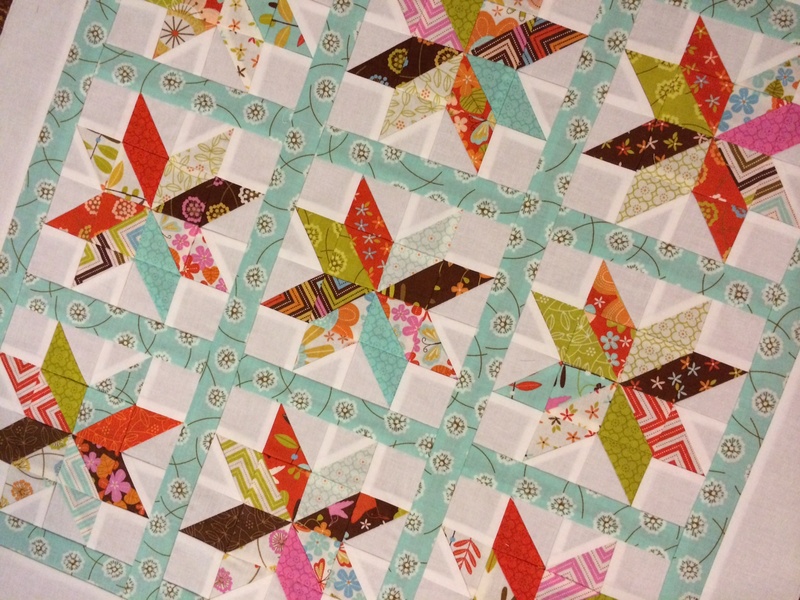 The flying geese are one of the variations in Whit – it’s my favorite right now. 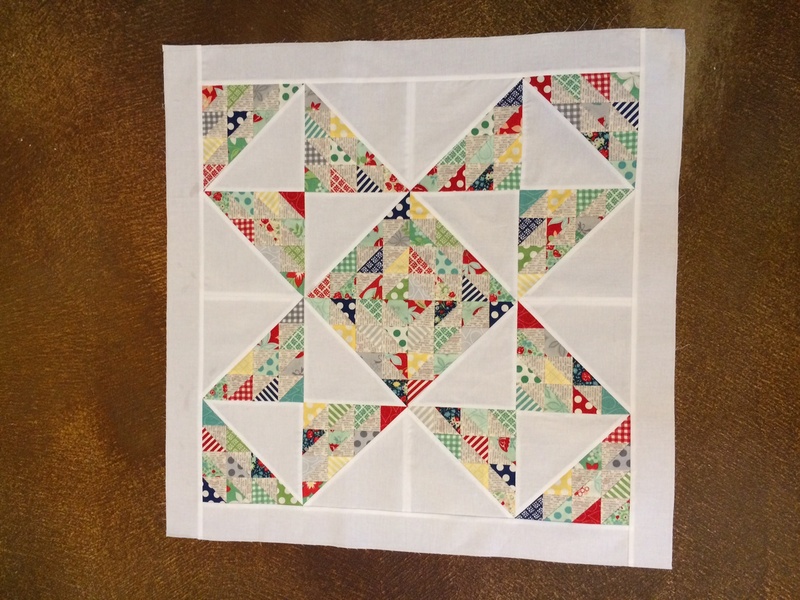 The little quilt made with Scrumptious and Moda’s cross weave is from Titch. Carrie, Thanks for sharing a glimpse into your new Little Bites line of patterns. Can’t wait to see what else you have up your sleeve at Quilt Market. By Lissa AlexanderIn Books and Patterns, TrendingTagged Miss Rosie's, Moda Candy6 Comments on Who loves candy? Previous Previous post: Sew Clothing? Yes, You Can! 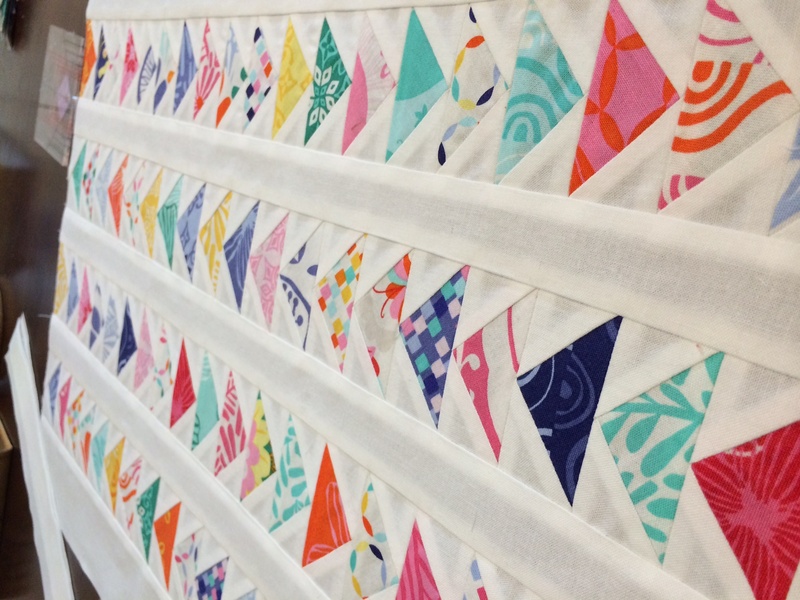 Carrie was nice enough to share a sneak peek of the patterns she is showing at Spring Quilt market- May 2014 which means the patterns will be available sometime after that. LOL is ‘Trace’ the 8th? Very cute patterns~ each and every one! I love every one of these quilts, but especially the first one. I am intrigued by the concept of using Candy for them. I also love the texture Carrie has been adding to her quilts. 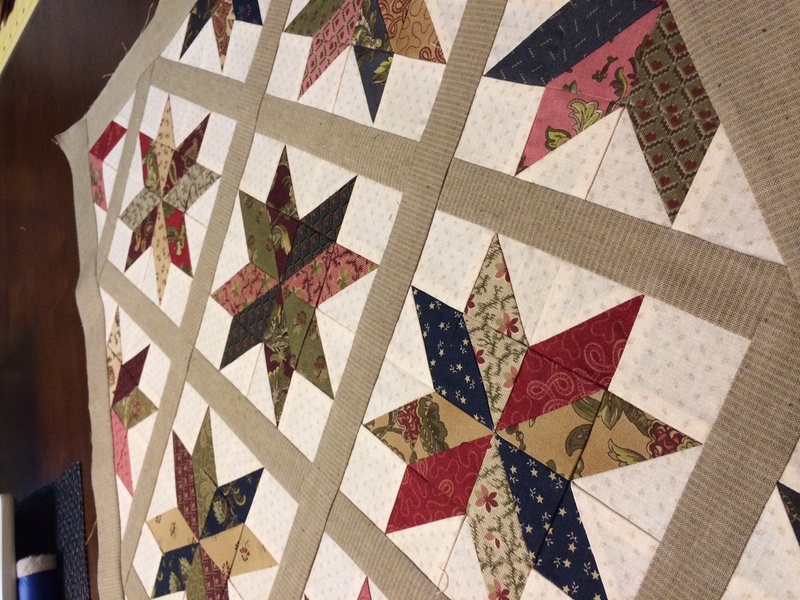 The Rustic Homespun sashing really adds to the quilt. 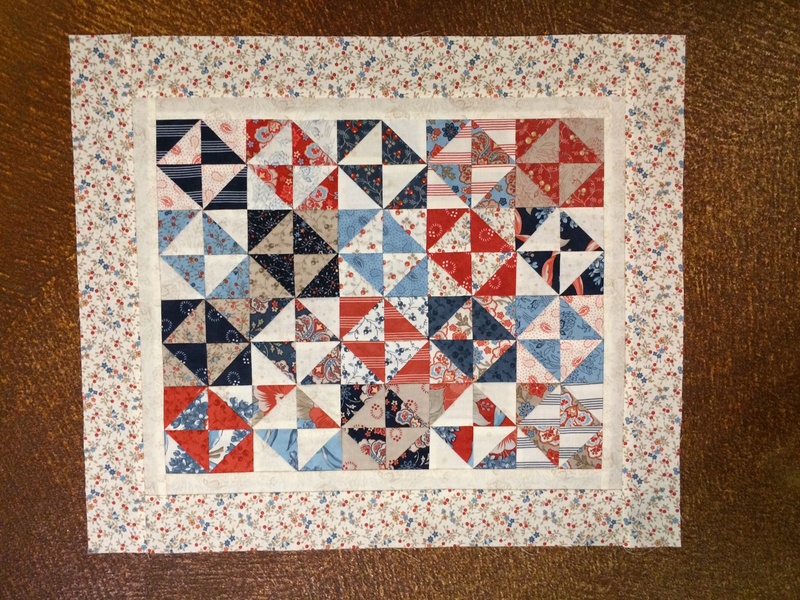 The Essex linen in another new quilt design that isn’t in this article. These are all lovely quilts. 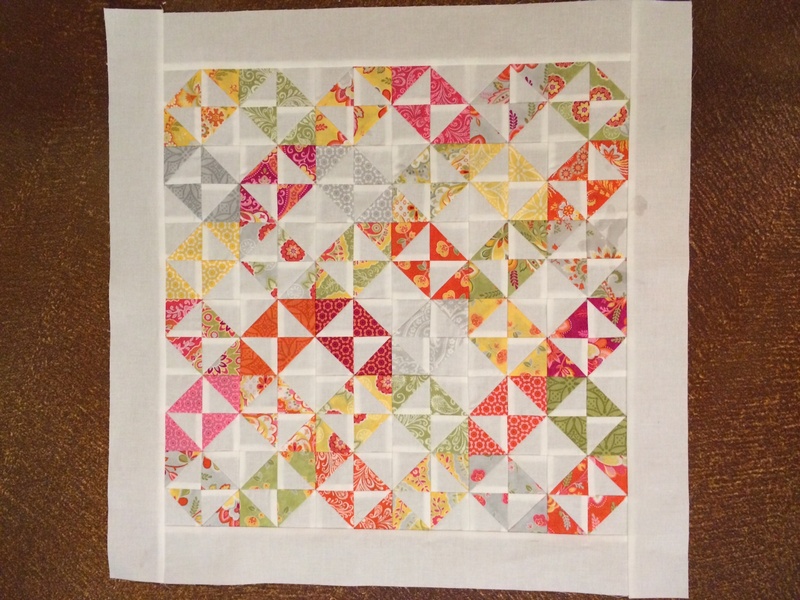 I am in love with the quilt made with Scrumptious and Moda’s cross weave called Titch. Where can one find the pattern? I’ve looked at Miss Rosie’s and cannot find it. Lisa, Look for these in stores June or July 2014. Carrie was nice enough to show us the projects in progress.